THE B-MOVIE NEWS VAULT: Kino Lorber resurrects RAWHEAD REX and revs up ROLLING VENGEANCE on DVD & Blu-ray! Kino Lorber resurrects RAWHEAD REX and revs up ROLLING VENGEANCE on DVD & Blu-ray! ARE NOW AVAILABLE FOR THE FIRST TIME ON BLU-RAY, THANKS TO KINO CLASSICS! 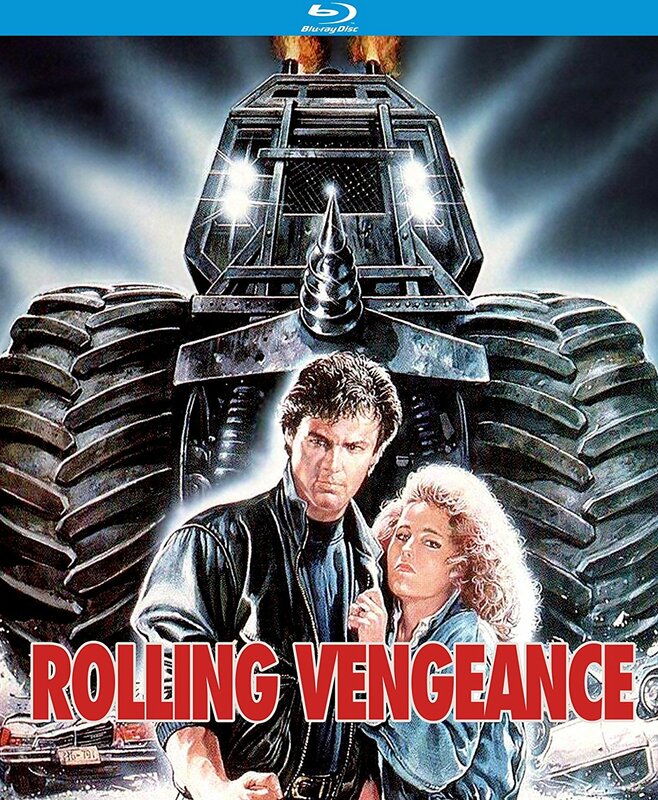 Both RAWHEAD REX and ROLLING VENGEANCE have been personal favorites of mine for decades! And though I already own them both (on DVD and DVD-R respectively), I do believe it is time for an upgrade! Synopsis: "He’s pure evil… pure power… pure terror!" RawHead Rex is a demon, alive for millennia, trapped in the depths of hell, and waiting for release. He is held by an ancient seal, imprisoned for centuries in a barren field near the hamlet of Rathmore, Ireland. In time, this gruesome legacy has been forgotten, dismissed as an odd pre-Christian myth until Tom Garron (Donal McCann, DECEMBER BRIDE) decides to plow the field his ancestors knew better than to disturb. The seal is broken and an unspeakable evil is unleashed - on a rampage of blood and lust. Howard Hallenbeck (David Dukes, GODS AND MONSTERS), an American historian on a working vacation with his family, discovers on the stained glass windows of a local church a series of scenes illustrating the reign of terror of RawHead Rex, but the one piece of glass depicting the defeat of the monster is missing. RAWHEAD REX is on the loose, and he is insatiable as Howard desperately races against time for a way to stop the vicious monster. Directed by George Pavlou (TRANSMUTATIONS) with a screenplay by horror legend Clive Barker (HELLRAISER, CANDYMAN, NIGHTBREED, LORD OF ILLUSIONS). Brand New 4K Restoration from the Original Camera Negative! Audio Commentary with Director George Pavlou, moderated by Stephen Thrower, the Author of Nightmare USA: The Untold Story of the Exploitation Independents, Murderous Passions: The Delirious Cinema of Jesús Franco, and Beyond Terror: The Films of Lucio Fulci! Interview with Actor Heinrich von Bünau (Rawhead Rex)! Interview with Actor Ronan Wilmot (Declan O’Brien)! Interview with SFX/MU Crew Members Gerry Johnston (SFX Supervisor), Peter Mackenzie Litten (SFX Creature Effects), John Schoonraad (SFX Mould Maker) & Rosie Blackmore (Makeup Artist)! Interview with Cameraman Sean Corcoran. Interview with Stephen R. Bissette, co-creator of John Constantine, instructor at the Center for Cartoon Studies. Booklet Essay by Film Historian Kat Ellinger. Limited Edition Slipcase of the New Poster Art by Sean Phillips! I am astounded by the amount of live this film has been given - I can't wait to dig into my copy! 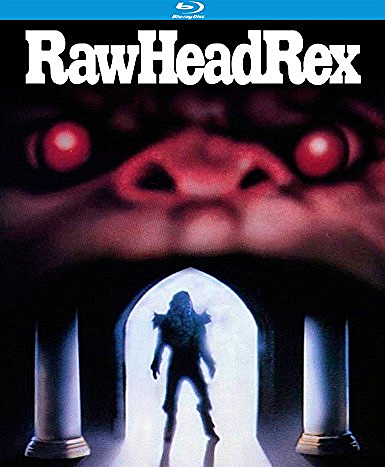 RAWHEAD REX is now available everywhere Blu-ray discs and DVDs are sold! You can get yourself a copy now at AMAZON, BULLMOOSE, DIABOLIK DVD, or directly from KINO LORBER! Synopsis: When a clan of drunken goons get off scot-free after senselessly killing a young trucker’s family, the trucker, Joey Rosso (Don Michael Paul, ROBOT WARS), takes matters into his own hands by building the ultimate monster truck to even the score. Spitting flames, and armed with a giant drill, his awesome rig is unstoppable as Joey pursues the clan leader Tiny Doyle (Ned Beatty, WHITE LIGHTNING) and his murderous offspring. He tracks down the clan, one by one, crashing cars, flattening trucks, demolishing buildings and destroying anything or anyone that gets in his way. ROLLING VENGEANCE is heavyweight action, a powerful story of twisted emotion and mangled metal, the telling of which costs the lives of no less than 65 vehicles. Steven Hilliard Stern (THE PARK IS MINE) directed this action-packed revenge yarn with a screenplay by Michael Thomas Montgomery (EYE OF THE TIGER) and co-starring Lawrence Dane (SCANNERS). Interview with Star Lawrence Dane. Audio Commentary by Paul Corupe of Canuxploitation.com and Film Historian Jason Pichonsky. Hooray! 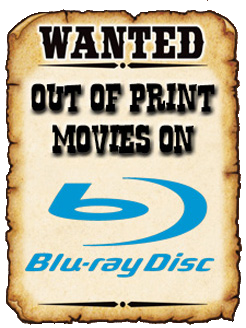 I can't wait to retire my DVD-R of ROLLING VENGEANCE when I finally pick up this far superior Kino Classics release! Speaking of which, you can grab this tale of monster truck vengeance now at AMAZON, BULLMOOSE, DIABOLIK DVD, or from KINO LORBER's online store!